Buy box of 12 and save! 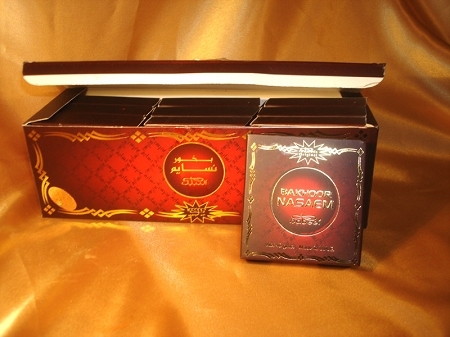 Nasaem scent from Nabeel comes in a 9 block container of 40mg that looks like a small bar of chocolate sealed inside foil wrapping. Excellent service great product speedy delivery will do business again for sure. Always a wonderful atmosphere when these are burning. 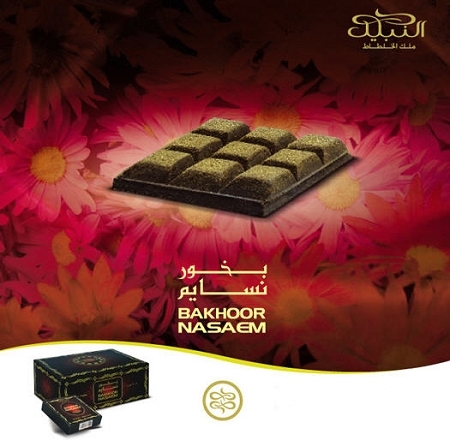 These have been my favorite since I first smelled them in the Abu Dhabi mall!